Pink and Black Glasses Are Back! HomeBlogPink and Black Glasses Are Back! Let’s be honest, the 90s never left—they just went on hiatus. Styles like floral patterns are back in full force, and the verdict is that they’re here to stay. Bright pinks and deep purples are also pouncing back into popularity. As a tribute to floral frames and other feminine favorites, we’d like to showcase some of our favorite pink and black glasses as well as other popular frame color combos. It comes as no surprise that floral patterned glasses are among the most popular patterns for women’s frames. While pink and black glasses tend to be the most common colors for floral patterns, some blues, whites, and greens have worked their way in there too. 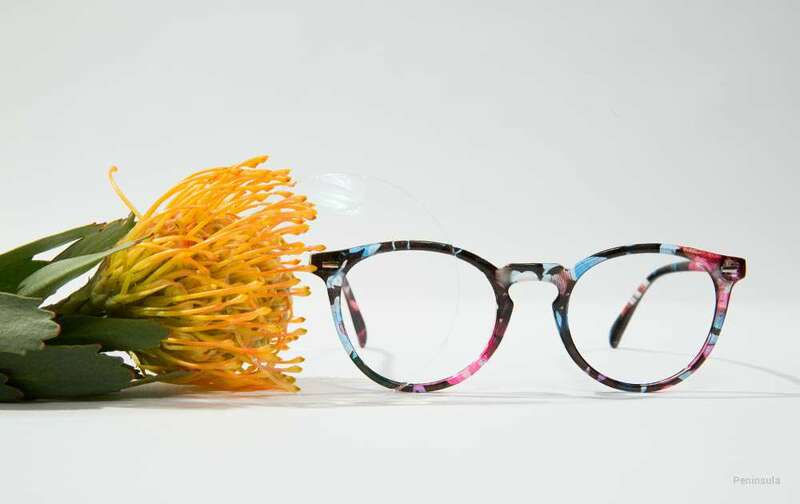 Here’s what EyeBuyDirect has to offer for our fresh and fun floral frames! First up we have Muse in a pink and black floral pattern, one of our most popular frames. These pink and black glasses boast beautiful pink and blue petals across a semi-translucent black background. This frame features a keyhole nose bridge round lens shape that’s perfect for those of you with a more square-ish face. If you’re looking for pink and black glasses with a classic 90s floral pattern, then look no further. This style of Nola comes in black, dotted with mini flower and petals. This full-rimmed frame gleams golden metal hinge details. The tall rectangular lens shape of Nola makes it ideal for women that have a rounder face. Another favorite with the famed 90s floral pattern. The shape of Brick Lane makes it great for pretty much any face shape, which makes it another one of our most popular women’s eyeglasses styles. It comes in a semi-translucent black adorned with pink and white blossoms and tiny green leaves. Some patterned frames are not quite floral, but fun, funky, and feminine. Check out this selection of purple glasses and deep purple glasses with tortoiseshell patterns that’ll be sure to garner plenty of looks. Capucine was a French model and actress who starred in the 1963 film comedy, Pink Panther. It also happens to be the name of a rather striking frame style. With its straight browline and squared lens shape, Capucine will have everyone around you trying to steal a look. 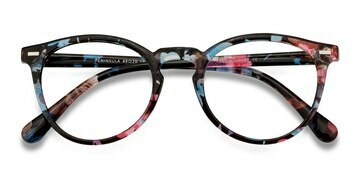 Its tortoiseshell pattern swirls together light pink and deep purple acetates, giving this frame a nebulous appearance. Next, we have a Lightworks. This fashionable eyeglass frames] comes in a clear, lightweight plastic with swirls of deep purple. This combination frame features metallic temple arms and a rounded square lens shape with raised brows. Finally, there is Phantasm. Its unique frame shape and pattern give this style its otherworldly touch. Phantasm’s round lens shape is topped flattened brows. A distinct keyhole nose bridge adds to its curved, yet angular appearance. Black, pink, and purple acetate are pressed together for an exceptional speckled pattern. It can be tough to find the right pair of glasses. 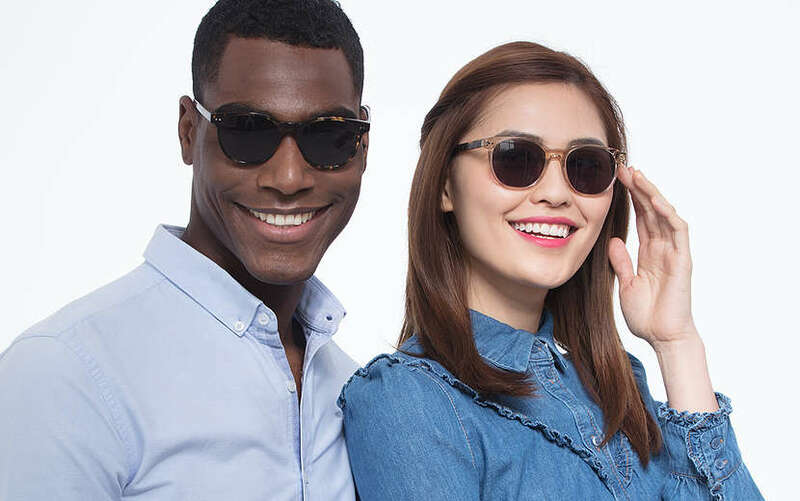 Thankfully, EyeBuyDirect has guides and tools to help you along the way. To learn more about face shapes and how to find out which frame works best for your face, check out our face shape guide. If you’re more of a DIY kind of person, then make sure to use the EyeTry tool. EyeTry is our virtual mirror that lets you try on any frame before you buy it. 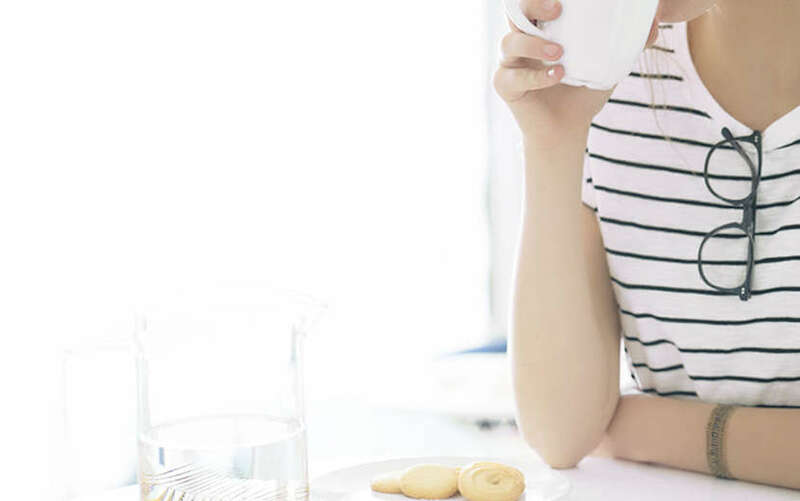 Looking for more patterned eyeglasses? 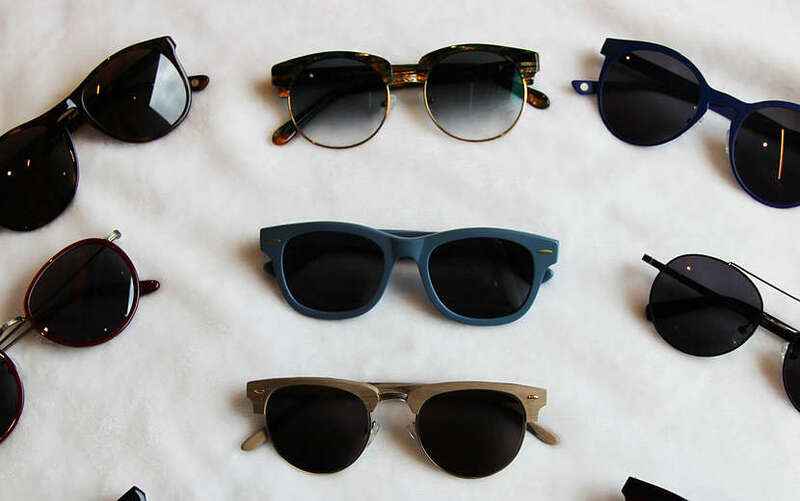 Then feast your eyes on this amazing selection or tortoiseshell frames.